Probably the most dreaded day of 2014 is quickly closing in – February 1 marks the day that United will devalue its award chart. Though many awards on United itself are going up, the airline is also raising most partner awards, with some skyrocketing over 60%! Many of you with United miles to burn have been writing in non-stop asking about redemptions, so I thought I’d put together this list of awards you might want to consider booking sooner rather than later before both the devaluation and award space dries up for the rest of 2014 as everyone scrambles with last-minute redemptions. One thing to note is that United does not re-price awards if you keep the same routing and just change dates, so you can change the dates on awards for free and maintain the pre-devaluation award levels. 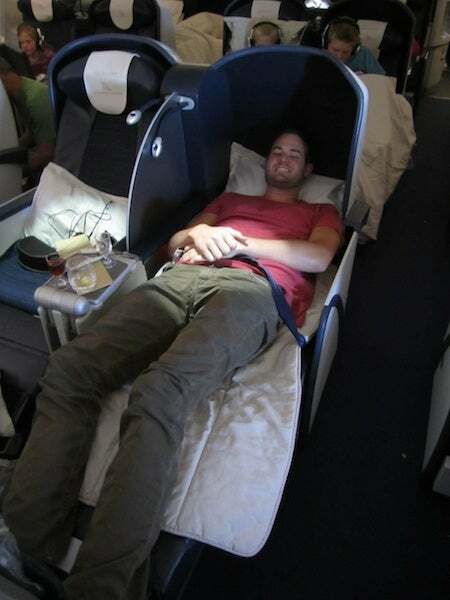 The Lufthansa First Class seat aboard the 747 comes with a recliner and a bed! 1. 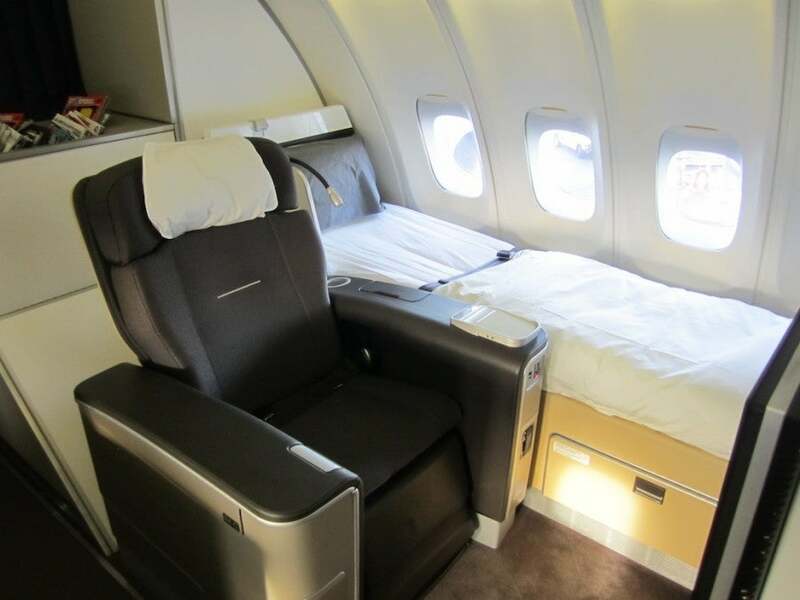 Lufthansa First Class: One of the nicest commerical first class products in the sky, Lufthansa’s first class is among the best out there – the seat aboard the 747-400 comes with both a recliner and a bed next to it so you have plenty of space to stretch out. Right now, it’ll cost you just 67,500 miles each way from the US to Europe, but after February 1, each way will cost you 110,000 miles! Now, booking Lufthansa first class awards can be tricky, but worth the time if you can nail one down. That Lufthansa first class award will cost 67,500 miles and $77.50 now, but 110,000 miles after February 1. You might want to pick close-in dates then use the cancel-rebook option I mention above and hope space opens up closer to your actual travel dates, though it’s a risk. 2. 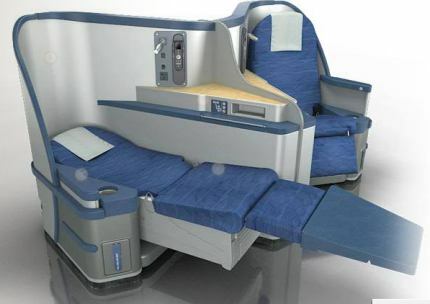 South African Airways Business Class: I love South Africa, but it can be a beast getting there. Though there are a lot of options flying through Europe, that means flying an 8-9 hour flight from the East Coast and then another 11 hours down to Johannesburg or Cape Town. 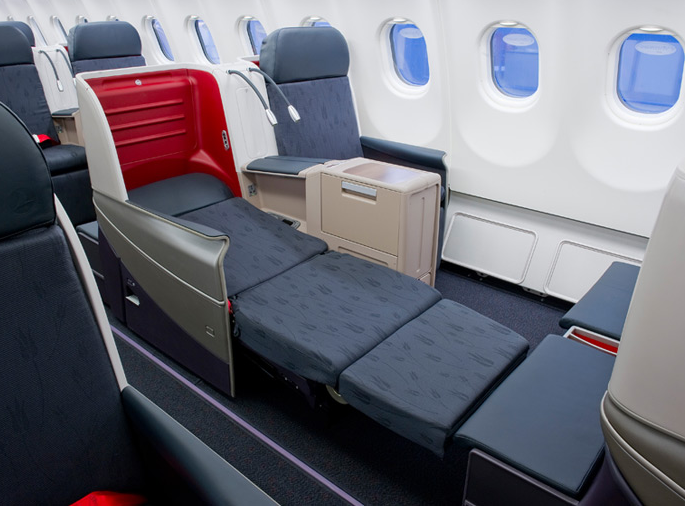 Personally, I’d prefer to fly South African Airways business class, like I did last January, since it flies from Washington Dulles and New York JFK to Johannesburg non-stop (though some JNB-IAD flights do stop in Senegal) even if it’s not the snazziest business class around. 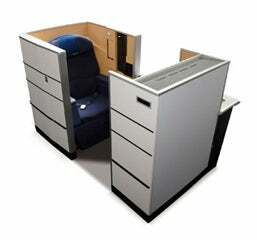 My South African Airways business class seat. This redemption is 60,000 miles each way currently, but come February 1, it’ll cost you 80,000 miles – that’s 40,000 more miles roundtrip. Availability can be tight on this route, but not at all impossible. 3. EVA Royal Laurel Class to Taipei and Beyond: EVA joined Star Alliance last year and I actually got the chance to fly its JFK-TPE and TPE-Singapore flights en route to the Maldives. I booked the award because I wanted to experience it’s much-touted Royal Laurel business class, and I really loved my experience. More than that, I loved that you can book an award to North Asia in business class for just 60,000 miles each way (my own redemption was also 60,000 miles, but to South Asia as a destination). After February 1, this partner award will require 80,000 miles each way – a 33% jump! Luckily, there seems to be pretty decent availability not only on the JFK-TPE route, but also from EVA’s other North American destinations of Los Angeles, San Francisco, Seattle, Toronto and Vancouver – like this flight from LAX in June. Just be sure you’re on a new 777-300ER to experience Royal Laurel. ANA’s First Class Squares look amazing. 4. ANA First Class Square Suites: Some of ANA’s 777-300’s feature its new first class suites, which are spacious square pods with large entertainment monitors, plenty of storage and all the plugs you could want. I’m considering trying it out, and United miles are a great way to do so pre-devaluation because the airline doesn’t charge enormous surcharges when booking ANA awards like ANA does when you use its own miles on its own flights. It can be hard to find availability with any regularity, especially when booking a few months out, but not impossible, and you might want to spend some time looking because now this award from New York to Tokyo will require 67,500 miles each way, but after February 1, it’ll be 110,000 miles. 5. Singapore Airlines to the Maldives: It can be a bit tough to find an award to the Maldives, but one of the best options out there is Singapore Airlines, like I flew myself in November on this route. Remember, you can’t search Singapore award space on United.com, but ANA still displays it. Singapore is really tight on premium award space for partners, and releases very little, so chances are you’ll have to get to Singapore on another carrier, but on regional flights from Singapore, like the one to Male, there’s usually open seats that aren’t too difficult to search. You have to use ANA to search Singapore awards, but there’s decent availability on regional routes. The reason this might be a good idea to book now is that it will only cost you 65,000 miles roundtrip in economy and 120,000 in business, but after February 1, it’ll be 80,000 and 160,000 respectively. 6. United to Australia: Although it’s probably more fun to fly Virgin Australia or Qantas to the land down under, United is actually displaying quite a bit of availability in premium classes to Australia over the coming months and they service the route with their new BusinessFirst and Global First seats, so it should be at least comfortable if not luxurious. In fact, I recently booked myself a first class roundtrip awards there and plan to travel next month. Finding premium award seats on United to Australia isn’t as hard as you might think. The not-totally-bad news is, business class redemptions will go up just 5,000 miles in each direction post-devaluation, though first class remains the same. However, I do expect there to be less availability as folks snap up this award space to avoid flying much more expensive partners. 7. Ethiopian Airlines 787: It might seem like an odd award, but I’m actually excited to try out Ethiopian Airlines’ 787 service. The airline flies this craft on its Washington Dulles-Addis Ababa route, which takes over 14 hours, giving me a good chance to find out if the new plane really does make longer flights more comfortable. Pre-devaluation, it’ll cost 60,000 miles each way, but post-devaluation, it’s 80,000 miles each way. I’m thinking of flying Air Canada’s 787 from Toronto to Tel Aviv. 8. 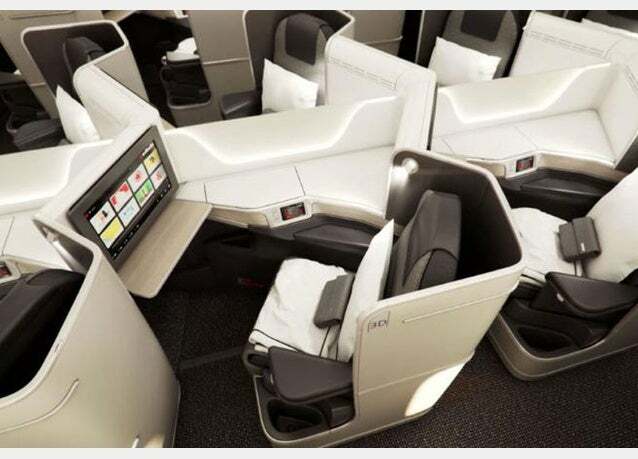 Air Canada 787 Business Class: Air Canada is getting its Dreamliners and putting them into service this summer on routes from Toronto to Tokyo Haneda and Tel Aviv. The new business class cabin looks beautiful, so I’m pondering a jaunt to the Middle East to test it out. Only I need to do it before the devaluation because right now it’ll only cost me 60,000 miles each way instead of a 25% bump of 80,000 miles. Right now I’ve only found availability in Economy in the months following the July launch, but I’m going to keep my eye on it. I’d like to fly Turkish Airlines’ new business class. 9. Turkish Airlines Business Class: Turkish Airlines has been pulling out all the stops in a global campaign lately, and I must say, their lie-flat business class and Istanbul lounges look great, so I wouldn’t mind trying them out myself. All the airline’s 777-300’s and A330-300’s have it, so it’s just a matter of finding those aircraft on routes that service the US – or consider flying Turkish to Istanbul and connecting to other points in the Middle East, Asia or Africa from there. You don’t have much longer to snag 50,000-mile business class seats on Turkish Airlines. Right now, you can get from the US to Istanbul for 50,000 miles each way in business class, but February 1, it’ll cost you 70,000 miles – a 40% jump – so book soon! Note, there seems to be much better availability from Washington Dulles Istanbul than New York JFK. 10. US Airways Awards: It might seem kind of crazy, but if you want to book US Airways awards using your United miles, you better do so now because on March 31st they leave Star Alliance and will no longer be bookable. One type of award I’d suggest looking at are business class awards to Europe in US Airways’ flagship Envoy seats since they’re rated very highly and there is availability from non-United hubs to plenty of destinations throughout Europe. Now that award will cost you 50,000 miles each way, but next month, it’ll shoot up to 70,000 miles each way! This Charlotte-Paris flight will cost 70K after February 1. 11. Thai Airways First Class: TPG Managing Editor Eric had a great experience aboard Thai’s A380 first class, and any airline that serves Dom Perignon is okay in my book. Though availability to/from the US is a bit hard to navigate since the airline only operates flights to North America via other stops in Asia or Europe, if you’re thinking of combining it with a European stopover, you might take a page from Eric’s book and plan an award that includes Europe and then carries on to Bangkok for 70,000 miles each way in first class rather than the 130,000 miles each way it will cost you after February – an 85% increase! Tacking on Thai Airways first class from Frankfurt adds just 2,500 miles to the redemption…for now. 12. Intra-European Awards: One great use of United miles is to use them to book awards on expensive routes within Europe by leveraging partners like Lufthansa, SWISS and even Aegean. Right now, you can fly intra-Europe for 25,000 miles roundtrip in economy and 40,000 miles in business. Next month, though, those awards will be 30,000 and 60,000 miles respectively. These Aegean flights will cost you a lot more starting next month. One great example is flying Aegean from London to Athens – a 3.5-hour flight you can get for 25,000 miles in coach or 40,000 in business class. There’s no way I’d spend 60,000 miles for intra-European business class after February 1, though.